Shopping on 19 from Cranberry to Portersville | Visit Butler County Pennsylvania! 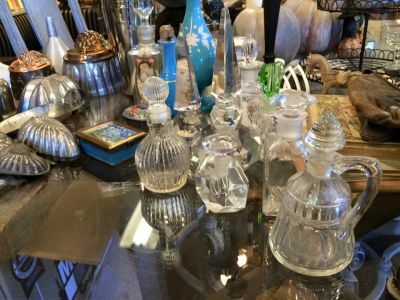 Whether you’re holiday gift shopping or just out and about shopping on a Saturday, you’re sure to find what you’re looking for in one of the many shops located on Route 19 between Cranberry Township and Portersville. While you make your way down Route 19, refer to our directory of eateries and accommodations as needed. 20412 Route 19, Cranberry Township – Sheila's Home Decor & Gifts is a store filled with a large selection of home and seasonal decor, jewelry, clothing, candles, and unique gifts for all occasions. 20430 Route 19, Cranberry Township – Mathew Jewelers' four generations of expertise will help you choose the perfect piece for yourself or your loved one. 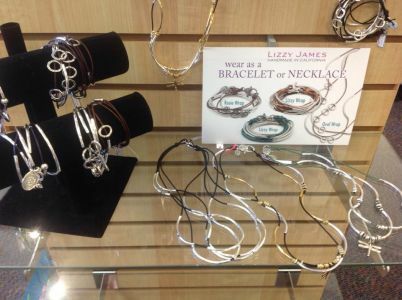 You can also visit their second location at 122 N. Main Street in Zelienople. 22410 Perry Highway, Zelienople - In the market for some new home decor or furniture? Try The Perfect Piece Home Furnishings in Jackson Plaza! 519 Route 19, Zelienople – As you make your way into Zelienople, you’ll see Baldinger’s Market on your right. Here you’ll find a large assortment of nostalgic candies, cookie cutters and gift baskets perfect for the “kid” in you. 519 Perry Highway, Zelienople - Mazza Vineyards’ shop inside of Baldinger’s Market offers a great selection of fine wines produced in the Lake Erie region. Take a bottle home for yourself or pick out a bottle to take to a friend’s party. 420 S. Main Street, Zelienople – Get customized screen printing or embroidered apparel at The T-SHIRT Loft. If you’re a fan of the black and gold, they also carry Steelers merchandise in the store. 200 S. Main Street, Zelienople – Boutique 16063 included premier women's clothing, accessory, and shoe boutique! 100 E. Spring Street, Zelienople – Serendipity Zelie is a gift boutique featuring unique items, many of which have a meaning or support a cause or charity. 100 E. Spring St., Zelienople – Salon MMK is an experienced Hair Salon dedicated to the health and vitality of your hair. Using only clean and naturally based products. 125 S. Main Street, Zelienople – The next few stops are within walking distance if you’d like to get some fresh air. Stocking Stuffers Plus is exactly what the name states. This “shop for all seasons” has candles, framed prints, local sports items and all-around great finds to decorate your home. 117 S. Main Street, Zelienople – A lovely village women's shoe shop, Eva Bryn Shoetique, offers sandals, boots, mules, flats, heels, trendy tennis shoes and accessories in a luxurious atmosphere. 111 East New Castle Street, Zelienople – CURIO is a unique gift shop & art space carries handmade items by Western Pennsylvania artists, fine art, collectible toys, and offers art classes for all ages. 219 S. Main Street, Zelienople – If you plan on biking during your Butler County stay, visit Dapper Bicycle for accessories, service or even a new bike. 122 N. Main Street, Zelienople – Mathew Jewelers four generations of expertise will help you choose the perfect piece for yourself or your loved one. 120 N. Perry Highway, Harmony – Hop back in your car and begin taking Route 19 north. You’re going to love ‘olive’ the varieties of extra virgin olive oil and balsamic vinegars at The Enchanted Olive! They also carry specialty food and gifts! If you need a unique gift, enjoy geology or want to take a class to learn something new, The Appalachian Rock Shop is the place. Jewelry, fossils, geodes and other one-of-a-kind items fill the shop. 1830's Farmhouse across from First National Bank – 109 Adams Lane, Portersville - Nicolette’s Tailor Shop and Specialty Gifts is the place to find something you didn’t know you were looking for. A unique gift, a chocolate treat, a gift basket created or an area souvenir, you’ll find all of it here. 118 North Shore Drive, Moraine State Park, Portersville – End your shopping trip at The Owlet Gift Shop, operated by the Moraine Preservation Fund. Here you can purchase hand thrown pottery, maple syrup, Moraine honey and more.